Looking for dated tickets with confirmed entry timing? 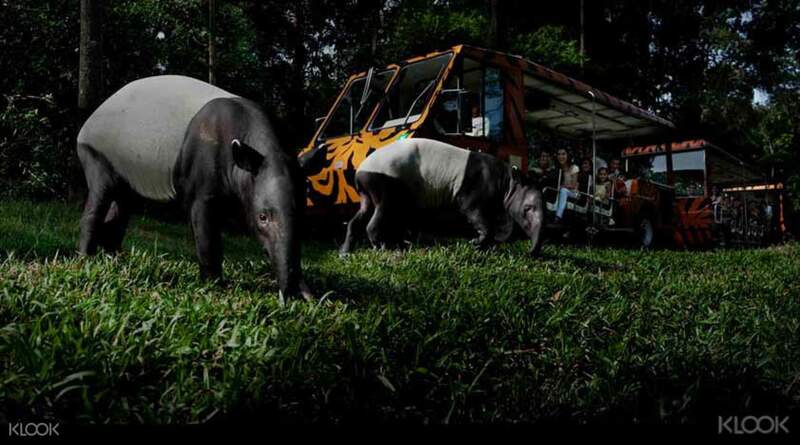 Check out these Night Safari tickets instead! We completed entire zoo from 1pm to 6 pm without skipping any show or any of the animal. The best ever zoo I have ever seen . No need of standing in queue as we redeemed physical ticket from kiosk. 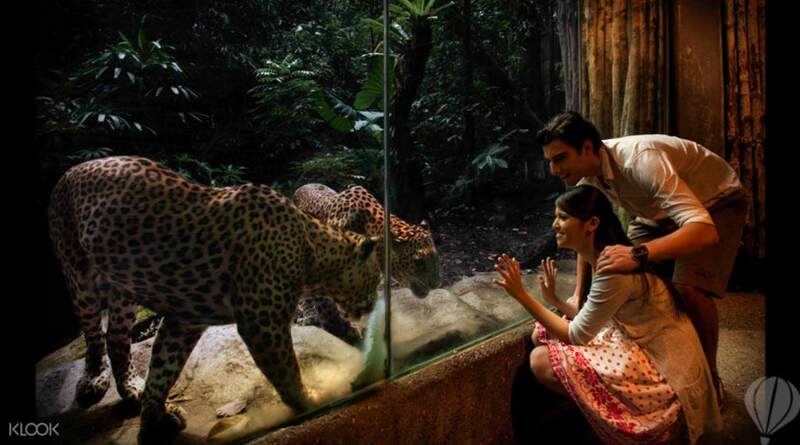 A must activity if you r visiting Singapore. Hassle free trip coz of klook. As dusk falls, take an after-hours look at over 2,500 nocturnal animals starting their nightly rituals. Come close as they frolic, graze and hunt. Embark on an exciting tram ride that takes you through 7 geographical regions, or opt for a walking trail for an even deeper journey into the park. Don't miss the interactive Creatures of the Night Show, where you can learn more about the natural abilities of fascinating nocturnal animals. Was so happy to purchase ticket in Klook, saves us from falling in line and it is cheaper too! 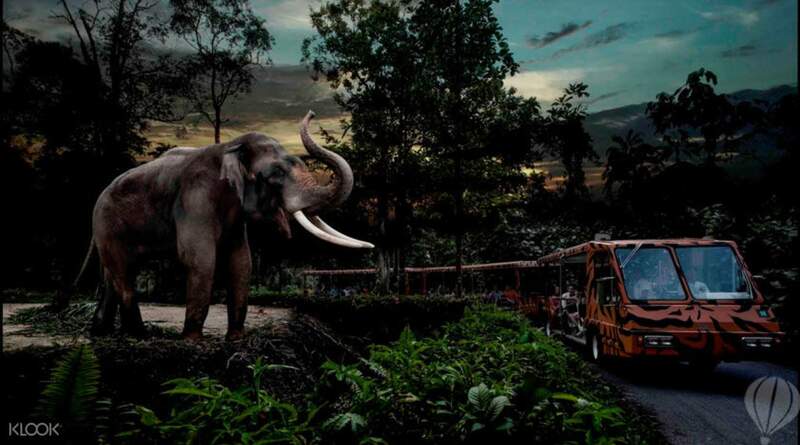 Night safari is a perfect family activity especially with younger kids to see nocturnal animals. They have animals shows that are entertaining make sure to check schedule as to not miss them. There is a restaurant before the zoo entrance and food is surprisingly good. Don’t forget to bring mosquito repellent. Was so happy to purchase ticket in Klook, saves us from falling in line and it is cheaper too! 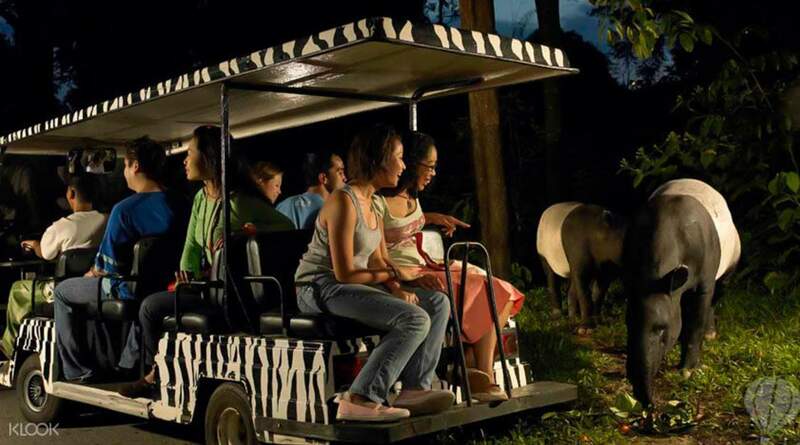 Night safari is a perfect family activity especially with younger kids to see nocturnal animals. They have animals shows that are entertaining make sure to check schedule as to not miss them. There is a restaurant before the zoo entrance and food is surprisingly good. Don’t forget to bring mosquito repellent. Instant it is! Fast redemption via machine. Just type the code and a ticket will be given to you. proceed to the tram or shows you want to see. don't bother bringing your cam in the tram cause it's dark. audio seems to be faint from where we are seated. rode tram 2x. i love the flamingos!!! Instant it is! Fast redemption via machine. Just type the code and a ticket will be given to you. proceed to the tram or shows you want to see. don't bother bringing your cam in the tram cause it's dark. audio seems to be faint from where we are seated. rode tram 2x. i love the flamingos!!! it is a good experience. choose a non crowded day to visit. we met a kind and helpful staff who helped us to get a seat in the show (it has closed due to full house). we take a tram ride and walk around for 1 hour. the whole visit was 2 hours plus. very cooling but humid environment. it is a good experience. choose a non crowded day to visit. we met a kind and helpful staff who helped us to get a seat in the show (it has closed due to full house). we take a tram ride and walk around for 1 hour. the whole visit was 2 hours plus. very cooling but humid environment. This was an on-the-spot booking, but Klook made it so easy for us! No hassle. We enjoyed the Night Safari so much. In awe of how the many wild beasts and animals are free to roam around (of course, not all). Difinitely using Klook again, and the safari was an experience like no other! This was an on-the-spot booking, but Klook made it so easy for us! No hassle. We enjoyed the Night Safari so much. In awe of how the many wild beasts and animals are free to roam around (of course, not all). Difinitely using Klook again, and the safari was an experience like no other! It was our first time to experience a night safari, and it was amazing. There are lots of animals to see. You can almost touch the animals, but don’t. You can walk and see the animals by yourself, or have a guided ride. I would recommend you walk as you can control you time. Also, booking through Klook saves you money compared to buying tickets directly from the counter. It was our first time to experience a night safari, and it was amazing. There are lots of animals to see. You can almost touch the animals, but don’t. You can walk and see the animals by yourself, or have a guided ride. I would recommend you walk as you can control you time. Also, booking through Klook saves you money compared to buying tickets directly from the counter. This was the best experience. We went ont he last slot 10:15, so it was not crowded at all and the peaceful ride among the nice moonlight and beautiful animals made our day. Even though its not wild,it didnt feel like. We got to see many animals like lion,elephant,deers,flamingos,wild dogs,bear,fox etc.Great fun will recommend to everyone. This was the best experience. We went ont he last slot 10:15, so it was not crowded at all and the peaceful ride among the nice moonlight and beautiful animals made our day. Even though its not wild,it didnt feel like. We got to see many animals like lion,elephant,deers,flamingos,wild dogs,bear,fox etc.Great fun will recommend to everyone. If you get there at 10 am and leave at 10 pm you can do everything without the fast pass. Long lines on a Friday. Get through all the rides first. At 9:30pm...lines are 5 to 15 mins long... so if you miss a ride-do it at the end of the night. If you want time to shop and look around avoid the long lines by getting there early and finishing rides around 9pm. it's much smaller than California Universal... so it's busy with longer lines (same amount of people-not enough attractions). I still loved it. If you get there at 10 am and leave at 10 pm you can do everything without the fast pass. Long lines on a Friday. Get through all the rides first. At 9:30pm...lines are 5 to 15 mins long... so if you miss a ride-do it at the end of the night. If you want time to shop and look around avoid the long lines by getting there early and finishing rides around 9pm. it's much smaller than California Universal... so it's busy with longer lines (same amount of people-not enough attractions). I still loved it. Truly an amazing experience. Not like any other!! Would definitely recommend. My boyfriend and i had a fantastic time there not only on the tram ride, but exploring the park on the walking trails later on. Truly an amazing experience. Not like any other!! Would definitely recommend. My boyfriend and i had a fantastic time there not only on the tram ride, but exploring the park on the walking trails later on.